Six-times World Rally champion Sebastien Loeb feels Kimi Raikkonen will prove to be a natural when he makes his competitive debut with Citroen this week. The 2007 Formula One world champion has switched to rallying this year, and on Friday continues his preparation for the WRC campaign that starts in Sweden next month with a drive in the Arctic Rally. The event, which is run over two days and includes 12 stages, will be a true test of Raikkonen's credentials as he will be up against Dani Sordo, Loeb's factory Citroen team-mate. "It's very difficult to say straight away how he will get on," said Loeb. "What we can look at is what he did in Rally Finland last year when he was close to the pace in the Group N class. This was very good. It's easy to see he can drive the car - there's no doubting he's a very good driver." Loeb added: "He's a Finn, he has been brought up on slippery surfaces and I'm sure he was playing around on them for a long time. "It's natural he will be good like the other Finnish drivers." Kimi Raikkonen has made it to the end of the opening day of the Arctic Rally in Finland, but the former Ferrari star has set his sights firmly on improving his pace tomorrow. 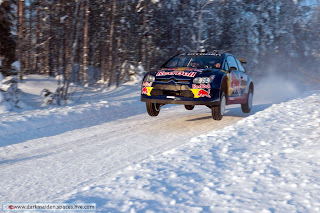 The Red Bull Citroen Junior Team driver suffered a fraught morning on the Rovaniemi-based event after crashing on the second stage, where he dropped more than half an hour in a ditch. Citroen fixed his C4 WRC at the ensuing service allowing the 2007 Formula 1 champion a clear run through the afternoon's three stages. Due to his morning shunt, his overall position in the Finnish Rally Championship event has not yet been clarified. Raikkonen's co-driver Kaj Lindstrom said: "The afternoon has been good. Kimi is back on top of the car after the problem this morning. We've been just under a second per kilometre slower than Dani [Sordo], who's leading the event. The focus for me tomorrow will be to get that gap down to half a second per kilometre." Raikkonen, who was second quickest to Sordo on all three of this afternoon's stages, made adjustments to the C4 WRC at service ahead of the final stage in northern Finland this evening. He adjusted the suspension on the car to assist turn-in to corners, while also working to help with traction at the back of the car. Sordo remains clear at the head of the field. "It's been good," he said. "I'm driving the car at about the same sort of pace I would drive during a test. Sometimes, when the road is nicer and I have some more confidence, I am pushing a little bit more. It's good, though, I'm enjoying it." There are six further stages tomorrow, with three of those repeated. Sordo felt the repeated stages would help more for the forthcoming Swedish Rally. "With 180 cars having gone through, the road will have more gravel in it," he said. "I think this can be a bit more like a test for Sweden, which will be useful." Elsewhere in the field, Markko Martin's protege Ott Tanak continues to turn heads in Rovaniemi. He holds a strong second in class behind Sordo, following an exceptional run in his Group N Subaru Impreza. Kimi Raikkonen insists he has no particular target in mind for his first competitive outing at the wheel of the Citroen C4 WRC on this weekend's Arctic Rally, after completing the shakedown yesterday. The 2007 Formula 1 world champion is using the first round of the Finnish championship as a warm-up for his inaugural World Rally Championship campaign with the Citroen Junior Team, which gets underway in Sweden in a fortnight's time. Joining him on the event is Citroen's factory driver Dani Sordo, who will provide a useful benchmark a near-identical car. "I don't have any special target," said Raikkonen at the pre-rally press conference in Rovaniemi. "This is just for learning. We will just drive and see how we are. There are many things to find out." According to his co-driver Kaj Lindstrom, Raikkonen's biggest challenge will be learning to use pace notes: "You need the confidence to trust and commit to the notes," he said. "This is where we will improve most. But I have no doubt that Kimi has the speed." Raikkonen completed yesterday's shakedown stage without any problems, taking just two runs through what will be his final preparation before his inaugural rally in the Citroen. Raikkonen and Sordo will face little opposition on the event, as the overwhelming majority of entrants are driving Group N machinery. The opening stage of the rally gets underway at 12:23 (local time) today. The first car is due to enter parc ferme after leg one at 21:12 tonight. The conditions for the event are perfect, with temperatures hovering around -20C and snow still falling. Six-time title-winner Sebastien Loeb has a Formula 1 champion for company in the World Rally Championship this year with the addition of Kimi Raikkonen to Citroen's line-up. As the Finn prepared for his first rally in a WRC car in this week's Arctic event, AUTOSPORT heard Loeb's thoughts on his new stablemate's chances in 2010 and beyond. Q. Have you met Kimi yet? Sebastien Loeb: No, I haven't met him really. I don't know him at the moment. I will be delighted to meet him, he looks like a cool man and I'm sure we will get on well. Q. What about these stories that, if all goes well for him this year, he could be your team-mate next season? SL: That's something I don't have to decide on. Olivier [Quesnel, Citroen team boss] will take the best drivers for the car next year. And if he is good this year, then why not? I am happy he is here in the sport. I think he can be good for the rally. It's great to have his name with us, there's a really good story for you and the media. It's something exciting for us. Q. What will he be good at this year? SL: Driving fast! He is a natural driver. Look at what he achieved in Formula 1. For sure, he will be able to drive fast on the road he knows. Q. What will he struggle with this year? SL: I don't know for sure, but probably the most difficult thing for him will be to drive fast when he doesn't know the road and he has only seen the road while driving slowly two times before. Making precise notes is really important for him this year. Q. And what do you think of the WRC in general before the start of this season? SL: I feel that, today, it's only two manufacturers and that's not so good. Okay, for me, the two manufacturers we have in the sport are the best two and they are both very competitive - which makes for a nice battle at a very high level. The cars are very good, and the drivers are not so bad, the level of competition is very tough. I think the thing we could do better is to get some more manufacturers. Je n’avais jamais piloté une F1 à -25°C ! 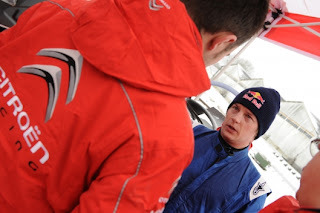 Présent en Finlande pour préparer sa saison 2010, Kimi Räikkönen a participé à ses premiers essais au volant de la C4 WRC du Citroën Junior Team. Vous commencez votre première saison en rallye. Découvrez-vous des aspects différents en WRC par rapport à une F1 ? Qu’aimes-tu dans le rallye ? Qu’attendez-vous de vos premières épreuves ? Sur quelle surface pensez-vous être le plus à l’aise ? Pour un débutant en rallye, le système de notes réclame un travail important. Est-ce quelque chose sur lequel vous avez déjà progressé ? Quelles sont vos ambitions au départ de l’Arctic Rally ? Le Champion du Monde de F1 2007 sera au départ de l’Arctic Rally qui se déroulera vendredi et samedi à Rovaniemi. Outre Räikkönen, Dani Sordo (Citroën C4 WRC), Mika Salo (Ford Fiesta R2), Rami Räikkönen (Abarth Grande Punto Super 2000) sont engagés. Interview with Kimi Raikkonen which was conducted during his recent Citroen test session in Finland, prior to the Arctic Lapland Rally. Raikkonen: "We would never have driven the F1 car at -25°C!" Q: You are about to start your first full season in rallying. How do you find WRC compared to F1? KR: "These are totally different disciplines. Here it is -25°C during testing. I had never driven an F1 car at -25°C! In the F1 practice sessions, we loop the same lap all the time. In rally, even if we stay on the same stretch of road, conditions change with each pass with more or less snow." Q: What do you like about rallying? KR: "I like everything! This is a new challenge for me. This is the biggest challenge of my racing career. It's very exciting..."
Q: What do you expect from your first event? KR: "At the beginning of the rally we'll see where we are compared to drivers who have several years of experience in the discipline. Initially, the objective will be to complete the event. I must learn the car before I can attack a little more." Q: In what area do you feel most comfortable? KR: "I drove on all surfaces last season. Perhaps the snow as I drove on it in testing and racing, so I have more experience in this field. But I guess I may have good experience on asphalt. This is the area that I'm most familiar with." Q: For a beginner in rallying making pacenotes is one of the most demanding jobs. Is this something that you've made progress with? KR: "We'll use the same system as last year. It worked very well. With experience, we will continue to improve and we'll see how it works during the first events." Q: What are your ambitions at the start of the Arctic Rally? KR: "It was my first rally last season. This participation is a good workout. I'll be able to travel miles with the car before the first event of the World Championship. It's also nice to drive in Finland." 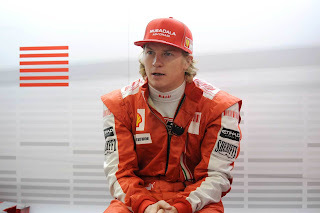 Just two years ago, Finn Kimi Raikkonen was the reigning (2007) World Champion in the world’s most prominent television sport, and the number one driver of the world’s most famous racing marque, the Ferrari F1 machine. Forbes rated him the 26th highest paid celebrity in the world, the fifth highest paid sportsperson (behind Woods, Beckham, Jordan and Mickelson) and the highest paid driver in the world with a weekly pay cheque of US$1,000,000. Late last year he lost his job in the cutthroat game of musical chairs played by the top half dozen drivers in the world and decided to sit out 2010 by driving rally cars. This weekend he starts his new job in a town made famous by none other than Father Christmas – could there be a belated Christmas Gift in the offing? Motor racing afficianados will know that Raikkonen almost certainly could have secured a drive in Formula One, but that he’d lost the game of musical chairs and would have had to settle for a car that might not have been competitive. Ferrari, after almost a decade with superman Michael Schumacher as its number one driver, did not tolerate failure, at least not twice, and opted for two-time champion Fernando Alonso for 2010, and Raikkonen lost the plum drive amongst the eight seats on the grid that might have possibly given him a chance at winning. Sometimes the least palatable immediate outcome is the best for the long term, and rather than face mediocre performances in a less-then-competitive machine, and see his brand values plummet, Raikkonen, feeling certain that his F1 star would rise again if he sat out the 2010 season, decided to do something else. During 2009 he drove in four rally events, and he quickly showed that the raw skills that gave him a regular F1 drive at just 21 years of age, plus 16 pole positions, 35 fastest laps and 18 F1 race wins before the age of 30, were directly transferable to this new sport. Despite being inexperienced, he was frightfully fast. So he signed for a one year deal with the most successful rally team on the planet – the Citroen WRC team (albeit the Junior team) – and he’ll also race in the Le Mans 24 Hours race. His pairing with the Citroen factory WRC team is a stroke of genius. He gets a car almost identical to that of the WRC Sebastien Loeb drives, he gets to learn new tricks and sharpen his skills against the best in the world, and the expectations that he should keep winning aren’t as great as they would be in any other form of motorsport. Raikkonen’s first day on the job is today, and he’ll be piloting his mobile office (aka Citroën Racing Technologies C4 WRC) in the Arctic Lapland Rally in the company of co-driver Kaj Lindström. 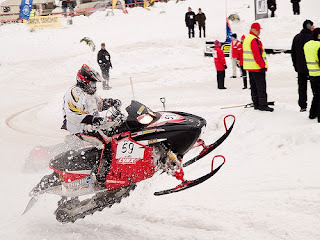 The Arctic Lapland Rally will run over two legs. The first one will be held today between 12:00 and 20:53 Finnish time while the second one takes place the following day between 08:00 and 18:43. The route takes in 12 challenging special stages, totalling 214 competitive kilometers. Kimi Raikkonen is in no hurry to decide his long-term future, saying he will wait until the middle of the year before looking at his options. After ending his contract with Ferrari and failing to land a race-seat with McLaren, Raikkonen is off to the World Rally Championship this season after signing a deal with Citroen's Junior team. But despite swapping series', the 2007 F1 World Champion could yet to return to F1 in 2011 with some reports claiming he could be on his way to Red Bull Racing. Raikkonen, though, says he has yet to decide his future. "I have always been interested in competing in the WRC and, at one point in my career, I've been offered this great opportunity by Red Bull," he told Autosprint. "So, why not take it? The doors to F1 are still open. "I've dedicated nine years of my life to this series, and I have some truly excellent memories. I will take a decision midway through the year. Then I'll decide whether to stay in rallying, or to come back to the grands prix." 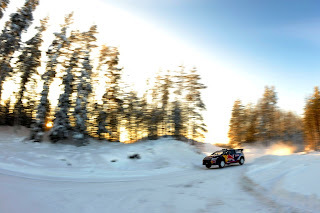 Citroën Racing Technologies will enter two C4 WRCs on the Arctic Lapland Rally from 28th-30th January. The cars will be entrusted to Dani Sordo/Marc Marti and Kimi Räikkönen/Kaj Lindström. Coming just two weeks before Rally Sweden, round one of the 2010 FIA World Rally Championship, the Lapland event will provide a valuable testing opportunity for Citroën and two of the French team’s crews. For many, Rovaniemi is best-known as the home of Father Christmas. But for rally fans, it means the host town of the Finnish Rally Championship’s opening round. As its name suggests, the Arctic Lapland Rally takes place around the Arctic Circle in the heart of chilly Lapland. At this time of year the sun rises at 10:00 only to set before 15:00, while temperatures can dip below -20°C! The Arctic Lapland Rally will run over two legs. The first one is on Friday 29 January between 12:00 and 20:53 while the second one takes place the following day between 08:00 and 18:43. The route takes in 12 challenging special stages, totalling 214 competitive kilometres. Kimi Raikkonen will wait until the middle of the year before deciding if he wants to commit himself to rallying or push for an F1 return. The former world champion has signed up for a campaign in the World Rally Championship after failing to land an F1 seat for 2010, and has hinted before that he may never come back to grand prix racing. However, speaking to Italian magazine Autosprint, Raikkonen says nothing is settled about his future - and that F1 remains close to his heart. "I have always been interested in competing in the WRC and, at one point in my career, I've been offered this great opportunity by Red Bull," he said. "So, why not take it?" When asked about his plans for beyond 2010, Raikkonen said: "The doors to F1 are still open. The fax hotline was working hard at the Rally Sweden office when the entry closed January 12. - This day started rather slow at the office but at lunchtime it was busy and I guess we will perhaps reach 60 starters in the WRC event - the Clerk of the course Bertil Klarin declared. The last day for entries was very hectic at the rally office and a technical communication error didn’t make the situation better. - That is the reason why I can’t state the exact number of entrants. Many drivers have failed to reach us during the day and are now trying again. The fax machine is busy working at the moment - Klarin declares laughing. He is obviously very satisfied with the great interest from the drivers. - If we reach nearly the same number of entrants this year as in 2008 we really should be very satisfied, considering the economic crisis and the problems for the car manufacturers. Last week we reckoned 40 entrants would be an acceptable number, but this is very positive, showing the very strong position this rally has in the World Rally Championship. 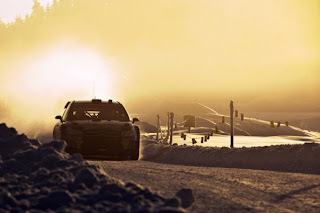 There will be a top quality field in Rally Sweden February 11-14. None of the top stars of the championship is missing. Six time World Champion Sébastien Loeb, Citroën, the finnish Ford duo Mikko Hirvonen and Jari-Matti Latvala, Norwegian brothers Petter and Henning Solberg, Petter in a Citroën and Henning in a Ford. Not to forget Marcus Grönholm, Ford, and Kimi Räikkönen, for the first time in a WRC-car and entering a WRC-event. If Kimi Raikkonen is planning a return he will find it tough as he left in a 'sour way', says former Formula One driver Johnny Herbert. Adding that with the Finn leaving the Scuderia Ferrari a year early and bound for the World Rally Championship, returning will be difficult as he should've stayed to prove his worth. 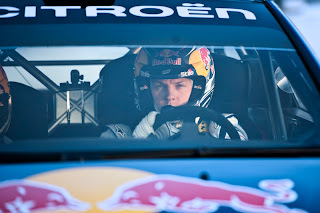 Kimi Räikkönen, the 2007 Formula One world champion, had his first taste of Citroën's C4 WRC that he will drive in this year's World Rally Championship. Wearing plain overalls, the Finn completed about 50 kilometers of running on a private gravel test track close to Citroën's Paris headquarters. The test was designed for Räikkönen to familiarize himself with the C4 WRC through an initial shakedown run before he competes in his first event with the car, the Arctic Rally, starting on Jan. 28. Afterwards, he will contest his first WRC event, the Swedish Rally, Feb. 12-14. "I really enjoyed meeting the team properly for the first time," Räikkönen said. "It was good to try out a few different things; I was very interested to see how the car reacted when you changed some of the settings. Now, I'm really keen to drive the car again." Räikkönen will use co-driver Kaj Lindstrom throughout the season. Lindstrom previously partnered four-time World Rally Champion Tommi Makinen. "There's no doubt in my mind that Kimi is good enough to be up there with the best," said Lindstrom. "He's a very natural driver." Räikkönen, 29, was accompanied by Citroën's engineers throughout the test, which was held in cold and snowy conditions. 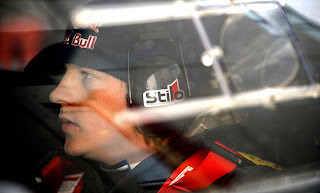 Kimi Raikkonen this week shifted preparations for his first full season of world rallying into a higher gear. The Finn, who has switched after a career spanning nine seasons and 18 wins in formula one, made his debut at the wheel of the Red Bull-branded Citroen C4 he will drive in next month's Swedish Rally opener. Before Sweden, he will contest the Arctic Lapland rally later this month. 2007 world champion Raikkonen, 30, conducted a short shakedown on a test track at Satory in France, according to the Auto Hebdo and Marca publications. Kimi Raikkonen got his World Rally Championship switch underway in earnest on Tuesday when he completed his first test in the Citroen Junior Team C4 WRC that he will use for his maiden full-time rally campaign. The former Formula 1 world champion completed approximately 50 kilometres of running with the car on a gravel test track at Citroen's workshop at Satory in France. "I very much enjoyed meeting the team properly for the first time," he said. "It was good to try out a few different things; I was very interested to see how the car reacted when you changed some of the settings. "Now I'm really keen to get back behind the wheel of the C4 again." Raikkonen's first competitive run in the car will come on the Arctic Rally in Finland on 28 January, which he is contesting in preparation for the WRC season opener in Sweden on 12-14 February. Although he contested several national events and the Finnish round of the WRC last year, his previous rallies have been in Super 2000 cars rather than full-spec WRC machines. Kimi Räikkönen, who drives in Citroën's Junior Team in WRC-rally, will start to prepare for next season's challenges shortly. 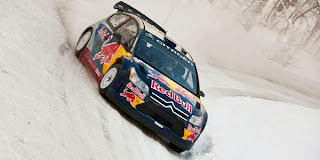 F1-champion's transfer to rally is the best possible PR-stunt for the WRC-series and Citroën. This is admitted also by Citroën's rally-boss Olivier Quesnel. - Everybody is saying that I did the deal of the century. I am thrilled about Kimi's arrival, but to tell you the truth I have never even met him before. It will happen next week, Quesnel said in French Endurance-Info.com- net sites interview. Also Quesnel said once again that he doesn't have plans to drive Räikkönen in Le Mans 24 hour race with Sebastien Loeb. FIA's new chairman Jean Todt thinks Kimi Räikkönen's transfer to WRC-rally is the years most remarkable motorsport-news. Todt thinks that even 7-time world champion Michael Shcumacher's comeback to F1 doesn't compete with Räikkönen's transfer to rally. - For me F1-champion Kimi Räikkönen's arrival to WRC-rally is more revolutionary than Michael's comeback! It is a really bold move from him. How competitive is he compared to special men like Sebastien Loeb, Mikko Hirvonen and Dani Sordo? It will be interesting, Todt said in Luxemburg's Quotidien - magazines interview. Todt has worked as Schumi's team manager in Ferrari and wasn't particularly surprised by the old champion's Mercedes-contract. - Having fun by driving motor cycles didn't seem to be enough for him, especially when a big team was asking for him. I hope of course that he reaches to top results, Todt said. Olivier Quesnel has had his share of people tapping him on the back after he hired Kimi Räikkönen. Even though there is no success in the top to be expected, Räikkönen lifts the visibility of WRC many notches upwards - both in Finland and all over the world. Red Bull's financed Räikkös-purchase has brough a lot of gratitude to Citroen-team's boss. - Everybody has said that I made the deal of the century. I'm also excited that we got Kimi, Quesnel said. He will meet Räikkönen personally next week. Quesnel isn't the only rally boss who has a smile on his face after Kimi moved to rally. Thanks to Räikkönen and the American star Ken Block, the letter combination WRC will be on the lips of a bigger audience. And that suits North One Sport's Marketing Manager Simon Long well. - We are very pleased that we have two incredible talents who also are stars worldwide, Long told on WRC-website. - Along with millions of fans even I am excited when I get to see how Kimi and Ken will get a grip of those different cars and challenging circumstances that makes the WRC-serie the world's most diversed motorsport genre. Räikkönen has become known due to his F1-achievements but Block has a slighty different background. As an American Block is especially known to the American audience from the extreme-genres. He has competed with a skateboard, snowboard, motocross-bike as well as with a rally-car. During seasons 2010 and 2011 Block, 42, will drive part of the WRC-rallies with Ford Focus. He already has experience from a couple of WRC-rallies from earlier years in the N-group. Mark Arnall admits that the F1-regulations changed to Kimi's disadvantage last season. 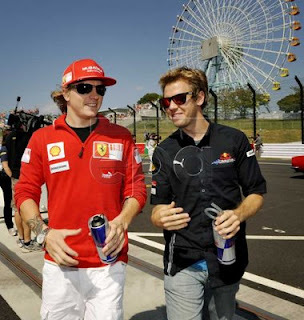 - The driver's weight was important in F1 because of the KERS-drvice. We did a lot of work to make Kimi smaller because he was 2-3 kg overweight after KERS was put in. Some bigger drivers had even more difficulties, Arnall told MTV3. In rally Räikkönen is weighed together with Kaitsu. - The minimum weight is 150 kg. We are a little above it. We are more or less where we should be, Arnall said. - Driving rally is more easier on Kimi because he doesn't have to put up with the same G-forces as in F1. The driving position is quite different so the muscles work in a different way. We will change the training according to which parts work more than before and which less, Arnall tells. 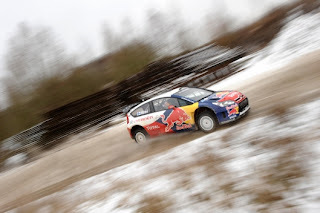 - In rally you sit in the car more than in F1 with pace notes and transitions. The rally car bumps the driver up and down more than a F1-car. That kind of bumping strains the lower back, Arnall continues. 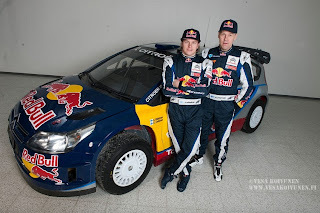 Juha Kankkunen has given tips to Kimi regarding his future rally career. – Kimi going to rally is a really huge thing for the whole sport. The appreciation for the genre was going down but now it's rising again, Kankkunen told Viihdeuutiset. Kimi's surprise move to rally has been the topic of all motorsport-people around the world. Even though Kankkunen thinks that Kimi's move is a good thing, he would have hoped that Kimi would have stayed in F1 for a while. – I told Kimi that you should have stayed in F1. Now there is no interesting Finnish driver left there. – Kimi is talented and he is a game-man so he will do well in any genre. And you don't know if Kimi will still go back to F1. The lack of motivation is the worst thing in top sport and if you haven't got it anymore, then you don't want to continue either. This is what happened to skijumper Janne Ahonen for example and now he has returned back to the top after keeping a break. Kimi Räikkönen's big WRC-adventure starts next week when the 30-year old Finnish drivers pays a visit to Citroen's factory in France. Making the seat and the first trial with the Citroen C4 -shuttle built for Räikkönen is in the program. Räikkönen and Kaj Lindström will drive their first rally with Citroen on January 28-30th in Rovaniemi when the duo participates as outsiders to the Arctic Lapland -rally. WRC-rally starts two weeks later in Sweden. The motorsportworld has already been wondering over how Räikkönen can go to a completely unfamiliar WRC-serie with so little experience. The truth is that Kimi himself is the least worried about it. Räikkönen doesn't belong to those drivers who need to sit for five days in the car just so that they get to know it. As a fullblooded professional he takes the bull by it's horns immediately and goes to check out how far his own pace takes him. Those who know Räikkönen better praises him telling he is now more relaxed than he has ever been during his whole F1-career. Kimi is practically bursting with enthusiasm now that he gets to go driving again. Red Bull owns a F1-team but on the rally-side they are just Citroen's close partner. Citroen runs racing teams. Red Bull pays Kimi's salary just like Red Bull pays Sebastian Vettel's and Mark Webber's salaries in F1. Red Bull's magazine went to see Kimi Räikkönen some time ago at his home in Switzerland. Kimi was as usual very straightforward when talking about his expectations. Kimi Räikkönen says in Red Bulletin -magazine's interview that he hopes Sebastian Vettel wins the WDC in F1. When rallies and GP's are at the same time for 10 weekends, we will probably not see Räikkönen on the F1-paddock but Monaco GP is free for rally drivers and that's when he would have an opportunity to be there. Vettel said to La Gazzetta dello Sport that he misses Kimi in F1-races. 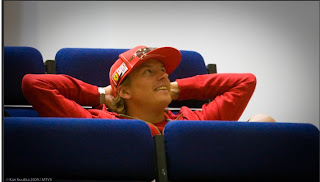 – I'm sure Kimi had his own reasons for going to rally. I'm sure that he made the best choice when thinking from his own point of view. I really like the guy and it's a shame that he isn't in the GP's this year. Kimi is still one of the best drivers and it would have been great to race against him. – On the other hand at the same time all us F1-drivers' interest towards rally grows more than ever. Now we can see for ourselves if it's possible that a F1-driver can also be successful in the top of rally. – I still hope that this wasn't Kimi's final choice, Vettel sighs. It still is an option that Vettel and Räikkönen would drive as team mates in Red Bull in 2011. Kimi Raikkonen says winning the World Rally Championship would mean more to him than having taken the Formula 1 title. 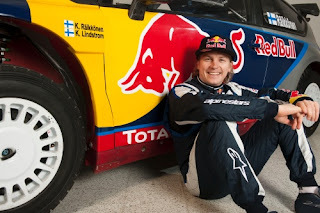 The Finn, the 2007 F1 champion, is moving to the WRC with Citroen for 2010 after nine years in grand prix racing. Speaking to the Red Bulletin magazine, Raikkonen admitted a WRC crown would be a huge achievement for him. "More than my F1 world championship title," Raikkonen said when asked what a WRC title would mean to him. "I'm just starting out and I can sense what a long journey it would be to get to that point." Raikkonen said his move to the WRC will be the greatest challenge he has faced so far in his career. "It's definitely the biggest challenge yet," he added. "I've got to learn everything from scratch. But I want the challenge. 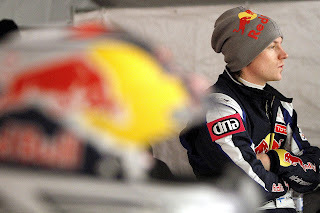 I have to get to know the car, the rallies, how to work with my co-driver [Kaj Lindstrom], everything. "I'm looking forward to it. And you've got to set yourself some competition if you really want to know how good you are. I'll still be able to drive around the forest in a private rally car." He added: "The first few rallies are bound to be tough. Until I know how fast the other drivers are, I'm holding back on any personal expectations. I'm sure I won't manage to keep up with the top four [Loeb, Dani Sordo, Hirvonen, Latvala]. "In F1, politics gets in the way of the exciting side of things. The atmosphere in rallying is much nicer and there's a lot less politics involved. It's must more about how the driver performs." The 30-year-old Finn said the new challenge is making him feel like he's at the start of his career again. "I'm finding a bit of the young Kimi in me again," he said. "A world rally car is quicker and tougher than the S2000 car I dove last year on the Rally Finland; it's 10 times better to driver and has more power. "It's why you can still come out of critical situations. If the Fiat ever went sideways with its non-turbo engine, it was game over." Kimi Räikkönen's decision to go from F1 to WRC has been a bitter pill to swallow for the fastest nation in the world. Räikkönen is probably the last bluewhite-driver who won the championship in F1. In the eyes of Finns who appreciate humility and modesty Räikkönen has been labelled as a greedy hedonist. COMPLETELY WITHOUT GROUNDS. Räikkönen's action is logical and it's easy to jump into his pants. When you have nine tough seasons, a WDC in your pocket and a couple of 2nd positions behind you, it's completely natural that Räikkönen wants to change genre. In another country or in some other area of life a defector like Räikkönen would have been seen as an independent intellectual who has an open mind. In Finland again one who changes to another genre is a loser, not an original genious. Besides, Räikkönen has more than enough of the humility that Finns so much want. He knows for sure that the first WRC-season will probably be difficult. If he doesn't succeed there will be a lot of gloaters. Of course a fat salary made Räikkönen's decision easier. You can't blame him for that because very few say no to money. Räikkönen himself has justified his change of genre with the more relaxed goings-on in rally. This is also easy to understand. Räikkönen has been a strange bird in the hypocritical F1-world. He doesn't fit into the picture where the most senseless sport genre in the world tries to be responsible and politically correct. Räikkönen would have felt at home during Keke Rosberg's active years. During those times the cigarettes were smoking and the glasses were clinking. Back then F1 was also about honest racing without dirty politics and financially maximising the victory. Therefore it was sensible of Räikkönen to leave but why does Heikki Kovalainen who was dumped by a top team want to continue in F1 no matter what it costs? The answer is simple: Most people rather participate in the national league even though the lower classes would offer gold and glory. Kimi Räikkönen has lately been dragged through the mud by Ferrari. Yet his new employer Olivier Quesnel thinks that Räikkönen's last F1-season was excellent. - Although Button won the championship I would want to raise my hat to Kimi Räikkönen. He won a GP with Ferrari even though the car hadn't been developed at all after summer, Quesnel said on France 2 -channel's website. Räikkönen will participate in next season's WRC-serie with Citroën's junior team funded by Red Bull. 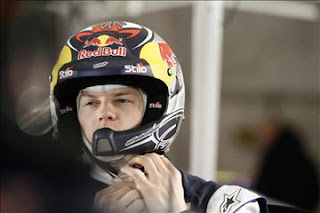 - His switch to WRC is a good flick to F1 who think they are above all other genres. 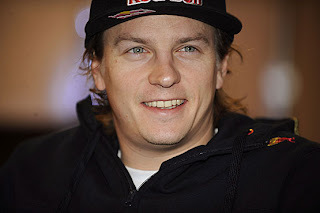 It's positive that he will come for the transition year (Super 2000 -cars are in the WRC-serie in 2011). Prodrive will come in 2011, Volkswagen in 2012. The WRC-serie touched the bottom but is now heading upwards, Quesnel evaluates. Because Citroën and Peugeot both belong to the same PSA-corporation many have already been speculating that Räikkönen would take part in Le Mans 24 next summer with the Peugeot 908 -car. Quesnel is also the leader of Peugeot's motorsporting activity. - There are rumours about Räikkönen driving in Le Mans with a 908 but I haven't thought about it myself. 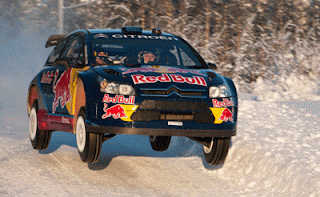 At the moment our client (Red Bull) has leased Citroën C4-car to WRC-races - not sportcars, Quesnel reminded. The Iceman didn't celebrate new year in the freezing home-Finland, instead he spent it in Middle-Europe. 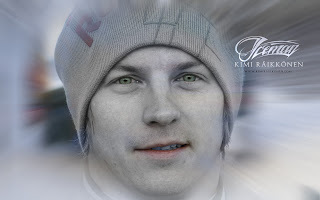 The year 2010 will be an unforgettable year in Kimi's life. The steerwheel-master will fulfill his dream and become Citroen's racing driver. Kimi didn't spend new year in Finland although he spent the Christmas-holidays with his family in Finland. Kimi celebrated the changing of the year and the decade in familiar sceneries. – Kimi spent new year at home in Switzerland, Bar, Riku Kuvaja told Viihdeuutiset. Kimi hasn't been resting during the Christmas-holidays, he has been carefully preparing for the upcoming rally season. – Kimi is training all the time. He hasn't yet got to drive with his future racing car but it will happen someday soon now, Kuvaja reveals. The WRC-rally starts in February with Sweden's rally. 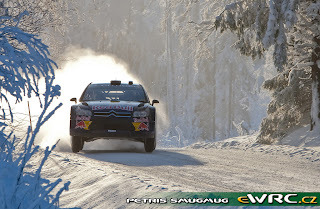 Before that Kimi takes part in the Arctic-rally held in Rovaniemi at the end of January. CHAMPION-MATERIAL : My 2010 Wish ! Kimi Räikkönen has revealed to Heikki Kulta/TS that his dream is to be the first driver who wins the WDC in both F1 and WRC. - When talking about Kimi, winning the championship in WRC isn't any utopian idea, Tommi Mäkinen says. 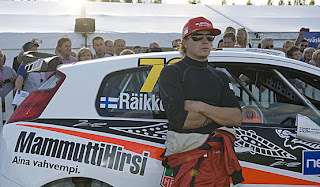 The 4-time champion knows both rally and Kimi Räikkönen. Last summer Mäkinen was in a central position when Räikkönen took part in Jyväskylä WRC-rally with his Fiat Grande Punto 2000 -car. His company Tommi Mäkinen Racing took care of Fiat's tetechnology. Mäkinen says though that one can't dream about a title during the first season. First you have to get properly into the genre and the serie. 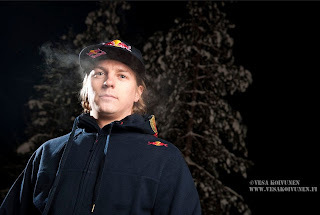 The wildest dreamers need to put some ice in their hats because Kimi's visit to WRC might last for only one year. - Succeeding requires a lot of kilometers from Kimi. He still has to learn the co-operation work with the co-driver and how to take the maximum advantage out of the pace notes. Kimi still has things to learn in that area even though he drives well without any rally-experience, Mäkinen says. Kimi's and Tommi's talks in Jyväskylä proved that Räikkönen has a genuine interest in rally and in the rally car. The two champions' co-operation brought speed into the N-class car. - Kimi drove a lot and together we made some small changes into the car. Track drivers have earlier made quick trips to rally paths. Their positions have been among the last ones and their speed hasn't been blazing either. Kimi's driving opened up the experienced Tommi Mäkinen's eyes even though Kimi's journey ended in the forest. - My attitude has always been that the track-guys can't rally at all. When it comes to Kimi it isn't true at all so thanks to him I've had to change my attitude. The difference between F1- and WRC-worlds are quite big. F1-world is distant and protected whereas the WRC again is more relaxed and open. Can this create some problems for Kimi? - He will most definitely not have any problems adjusting. I'd say that it's the other way around.